Format QuotePosted on September 14, 2018 September 15, 2018 Categories FaithTags Forgiveness, Love, Relationship, Spiritual Growth, Truth, WorshipLeave a comment on Why Can’t We Forgive Ourselves? Mary and Martha can be seen as archetypes. 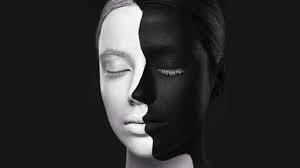 We possess both archetype personalities, that of Mary and Martha. Martha, who invited Jesus to stay at her and her sisters home, scurried around preparing the house and meal. She was practical and efficient. There is nothing wrong following custom unless it becomes a problem. She placed doing things before God. We need to be alert and recognize when we are distracted. Mary broke custom to sit at Jesus’ feet. She knew that custom would adversely affect the result of spending time with Jesus. She later did not spare cost and poured expensive oil, spikenard, on Jesus’ feet to wash them and dried them with her hair, demonstrating intimacy and reverence. Martha also sat by Jesus, but only after she completed her tasks. There was a level of trepidation involved in her steps. Jesus told her not to worry or be troubled. There are several takeaways from this story. Mary made a conscious decision between the two options, to help her sister or sit at Jesus’ foot. Today take time to study this: living a Christlike life is a radical way of life. We can either sit at Jesus’ feet and experience his love for us and learn from Him like Mary, or scurry around busily like Martha and miss the calmness He provides that reduces and eliminates worry, anxiety, and fear. We have to make choices every day, do we take time to seek our Lord and Savior or stay busied secondary things. Matthew 6:33 tells us that Jesus is clear about our choices and shared, we should seek first the kingdom of God and His righteousness. 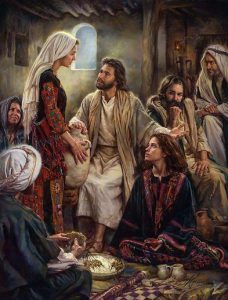 But Martha, though posed to follow custom when she noticed Mary was sitting down at the foot of Jesus, went to God in prayer. Jesus responded, do not worry or be troubled. The point is that Martha still loved Christ, still revered Him and called upon Him. Both knew and loved the Lord. We love the Lord as well. Our choices will determine if we acknowledge Him as being more important to us than life itself and not letting the ‘good part’ that cannot be taken from us or miss daily opportunities to spend time with our Lord. The things we seek before Christ will pass away, the Word of God will live in us and direct us throughout time. References/Resources – www.ucg.org. Beyond Today. Profiles of Faith: Mary and Martha-Lessons from Two Sisters. How many of us stay busy because we believe it means we are doing the Lord’s work? I can raise my hand, guilty as charged. Luke 10 is about two sisters, Martha and Mary. The two women learned that Jesus was going to visit their home. This immediately set an expectation that they had to ready the house, at least that is what Martha thought. On the other hand, Mary thought – what an opportunity. When he arrived, she perched herself at Jesus’ foot breathing in His every word, loving the feeling of his presence. Depending upon where we are in life, we will become a Martha or Mary. But, the Lord is not asking us to prepare things for or around him. The Lord does not want us to worry, or fret over the issues that surround us. He wants us to still ourselves, feel his love, and spend time in His Holy Presence. Like Martha we become distracted. We lose sight of the purpose, our dependence upon the Lord, and our desire to listen to Him, learn the practicality of the Word and then share the Good News. But, we are not wholly Martha, we also embrace the wonderment of Mary, waiting to serve, listen and learn. We are told in John 15, the Lord is the true vine and God is the vinedresser. The vine cannot bear fruit by itself. In other words, we cannot bear fruit by ourselves. Without sitting at the Lords’ feet, we will wither. We need to be still and listen, and not become distracted by the things around us. The scripture reads, “He who abides in Me, and I in him bears much fruit; for without Me you can do nothing.” The Holy Spirit must dwell in us. It is His blood that flows through our veins, our heart, and our soul. The scripture further shares, “If anyone does not abide in Me, he is cast out as a branch and is withered. Mary scurried about during the visit reading the house, preparing a meal, and doing all of the ceremonial things. Her sister Mary wanted more of Jesus. She wanted to breathe Him in, be a student of his Word and spend as much time as possible with Him; food was not important, a clean home was not important, spending time at the foot of our Lord was all that mattered. She knew she would be stronger for it, that sharing her story about what she learned that day with others would bear fruit. When we feel the urge to become busy rather than sit still, it is more than a tick, it is a red alert. Mary and Martha clearly loved Christ; we can gain more from this story, we can look at this in the scope of Spiritual Warfare. When we feel the Mary-Martha tug, we should acknowledge that it is often the devil trying to distract us and delay us from spending time with the Lord. His purpose is to kill, steal, and destroy. He wants to kill our relationship with the Lord, steal our time with the Lord and destroy our hope to reach heaven. Like so many, I try to stay alert. I know spending time with the Lord every day is imperative, yet there are times when I become enveloped in the stuff around me. But as the scripture says, only one thing is needed, not the fluff and circumstance, only one thing, to spend quality time with the Lord. In the end, we must ask ourselves when we are falling into oblivion, who do we belong to, where do we reside? Do we respond to Jesus’ invitation like Martha or like Mary? Will we wither or bear fruit? ReBlog – https://wp.me/p98Coa-vy copy and paste on your site.